I want to state up front that I am a Diane Rehm fan, so I am not happy to write such a negative review. Do I blame Diane for this rambling, disjointed book? No. I blame her editor. This person should have pointed out how the chapters could have been better organized and the multiple times when she is merely repeating ideas that did not need to be reiterated more than two times. This person has clearly failed her and the book. The story begins, quite predictably, with the decline and demise of Diane's beloved husband John. From there, the story takes many jumps around in Diane's life, weakening the message(s) that she hopes to convey. First and foremost, Diane tells many stories about her relationship with John, freely admitting that he was a emotionally abusive husband (shutting her out many times emotionally, leaving her to feel as if there were something wrong with her). However, she continues to dote on him to the point where, as a reader, I wonder if she is suffering a very mild version of Stockholm Syndrome. Second, Diane jumps backwards often to discuss her own life and her choice to pursue a career in radio. While I find this interesting, she has written other accounts, so I feel as though these were not really relevant to the focus of this book -- On My Own (implying life after John). Third, she addresses how much she desires to advocate for Euthanasia or Assisted Dying. While I find this topic fascinating, her continual circling back to it and repetition about things she has already covered gets old. I respect her decision and hope that she does continue to advocate for such an important issue, I don't feel that she really achieved her goal of convincing others to investigate and possibly decide the same on their own. Lastly, the book continues on and on and on. Just as I would feel that she had finally reached the end, there would be another chapter. The book is just too long because it seems that she cannot bear to end it. Sadly, by the time she does finally say goodbye, I was more than happy to let her go. The one bright aspect of the book is Diane's choice to narrate it. Her voice sharply divides people -- they either love it or hate it. She is right when she talks about how her voice is not one designed for radio. But I admire her for refusing to let it deter her career choice. 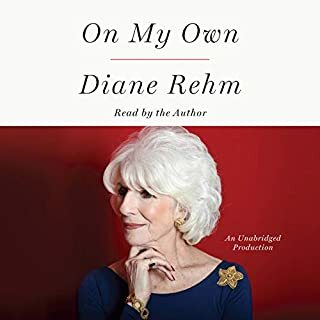 I also admire her choice to narrate her own book, even though, at times, it seems to fail her (I'm sure the continual reading took its toll on her voice and probably took place over several settings -- perhaps before and after voice treatments?). No one else could read her book, and I am glad she made such a choice. If you love Diane, then I am sure you will listen to this book no matter what my review says. My goal is more to prepare you for what you will hear rather than disparage Diane and her story. This isn't my usual type of book. I wouldn't have given it a second glance if my book club hadn't chosen it. I have never been so glad to be wrong! The writing is excellent and the narrator perfectly captures the character's emotions, especially the sarcasm. When I watched the movie, I was disappointed that the actor failed to convey the same emotional range. While the book is excellent, I feel the audiobook surpasses it in so many ways. The Martian is definitely on my list of top recommendations! I enjoy light, fluffy romances, and this looked to be an interesting one. However, from the first chapter I could tell that, unless the main character had a major change in attitude, I wasn't going to like her. Unfortunately, she never changed, and I hated her through the whole book. Worse is the absolutely predictable plot. I was hoping that maybe, just maybe, the writer wouldn't take the obvious route, but she did. In fact, she really went out of her way to make it happen. There are so many other ways this novel could have ended that would have felt much more real, but that just doesn't happen. The one positive thing I can say about this book is that the narrator gives it her best, and I really like her. She's probably the only thing that helped me keep on going. Kudos to her for putting in a fine performance for a book that even she must have known was terrible. How could I have not read this before? I admit that I love YA literature, so I was happy to have yet another book to read. However, this book blew me away. When Auggie is born, he has multiple birth defects--the kind that would make many people want to drop to their knees and cry. Yet his parents do neither. Accepting the child they have been given, they do their best, and their efforts are amply rewarded. Yes, they are lucky in that Auggie's problems are physical, not mental. Had he have had mental issues, this story would have been completely different. That being said, the social issues he faces are far to real, even in today's accepting society. I think all of us can remember the funny looking classmate that we picked on in elementary school. I'll bet few of us took the time to really get to know that person. We picked on him or her because that person was different and an easy target. Fortunately, Auggie meets a few kids who are willing to look beneath behind his face and see the true person underneath. 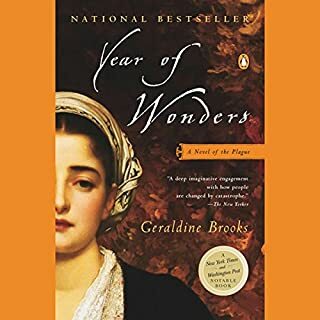 Many reviews focus on the terrible narration done by Geraldine Brooks. I won't lie to you -- she isn't the greatest narrator. However, she is also not the worst I have ever heard. 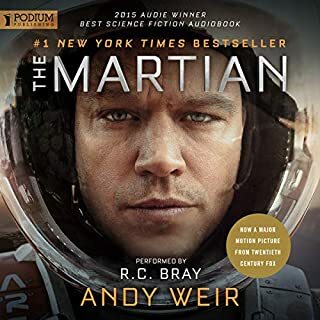 The sample given by Audible gave me a good idea of what I was in for, and I opted to buy the book even with the multiple bad reviews. Yes, Brooks reads very slowly. Yes, her voice can get on your nerves, at least for the first few chapters. But at some point, her voice begins to work, and I forgot that she wasn't the main character, Anna. The book is sad (how could a book about the Plague not be sad?) and yet still manages to end with a slightly happy and plausible ending. However, the characters are what make this book so wonderful. If you like other Brooks' novels, then I don't think this one will disappoint you. She is an excellent writer, and this book just adds to her achievements. 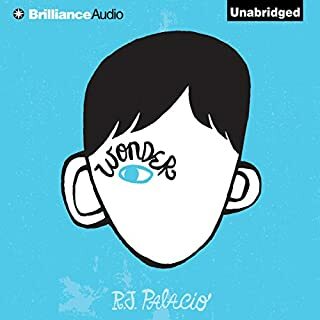 Do I rate the book or the narrator? With an audiobook, a bad narrator can certainly ruin a good book. 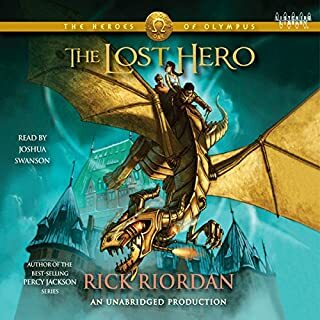 While I don't think this book is as well written as those in the Percy Jackson series, it is much better than the narrator makes it. Ultimately, the narrator seriously hurts this book. At times, his "computer-like voice" is immensely irritating. At other times, all of his characters have the same voice (which makes telling the characters apart very difficult). On a personal note, I'd just like to tell our narrator Joshua Swanson that he is a horrible reader and he should not butcher future books. I would like to point out that this is NOT Audible's fault. They didn't choose the narrator. 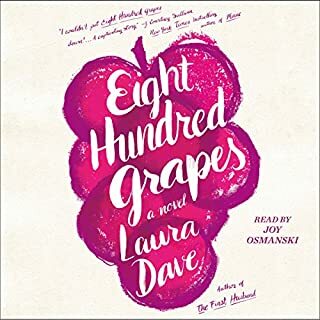 I don't know who at the Listening Library (the company which produced this book) is responsible for choosing this narrator, but that person failed miserably. If you want to prevent this narrator from destroying future books, make sure to visit the Listening Library's website and register your complaints.